Email marketing can be an incredibly effective tool, if utilized to its full potential. With the help of these tips, you can make the most of your email marketing campaigns and maximize the potential of every message you send. When people are reading messages, they’re generally looking for things they can relate to. If something isn’t relevant to them, it’s easier to tune out. When people can relate to things, it helps to create a deeper connection. And, when you’ve got more relevant and real information within your messages, it makes the overall message that much more believable. In terms of your email marketing campaigns, when there’s a real-life person included within the subject line, it makes it that much more enticing to open and read. When people are looking for a story, they want names and they want those names to be relatable, someone they could see themselves having a conversation with and learning from. It may be tempting to jump right into selling something through your email marketing campaigns, but nowadays everyone is more hesitant with these types of things. You’ve got to be much more aware, when it comes to trying to sell things online. Rather than try to sell directly to your readers, you can offer them more information about what they’re interested in. It may also trigger spam warnings when you start trying to sell things through email. The ultimate goal is to have your readers get your message, but if you’re bombarding them with sales messages, chances are your emails don’t stand a chance in reaching them anyway. When you’re involved in experiences, it can become incredibly personal. And, when readers are also involved, they can be equally vested in the information that’s being given. Be honest and truthful about what you’re experiencing, and be ready to share everything – the good, the bad and the really ugly. Readers are drawn towards those they feel are giving them truthful, authentic experiences, so when you’re able to provide that, you can instantly and effortlessly draw in new audience members. If you’re putting yourself out there, and promoting your image, brand and all the rest, it’s got to be real. These days, people will instantly see though the fake stuff. So, you’ve got to be real from the start. Have real images, real accounts, real everything. Your credibility will instantly be shot if it’s discovered that you are not exactly who you say you are. “True stories always establish a deeper connection, so when you can provide readers with these experiences, it helps create a bond where they can resonate with you on a deeper level and reinforce that connection,” explains brand manager at Custom assignment service and OxEssays, Johnny Schuler. As humans, we are naturally born curious creatures. We want to know as much as we can, and the same is true when it comes to those whose writings we are reading about. If we can relate to them personally, we want to know as much as we can about them. There’s nothing wrong with allowing your readers to get a glimpse into your life. After all, if you’re putting yourself out there in the public eye, you must realize that there will be some who are interested in seeing and knowing more about you. 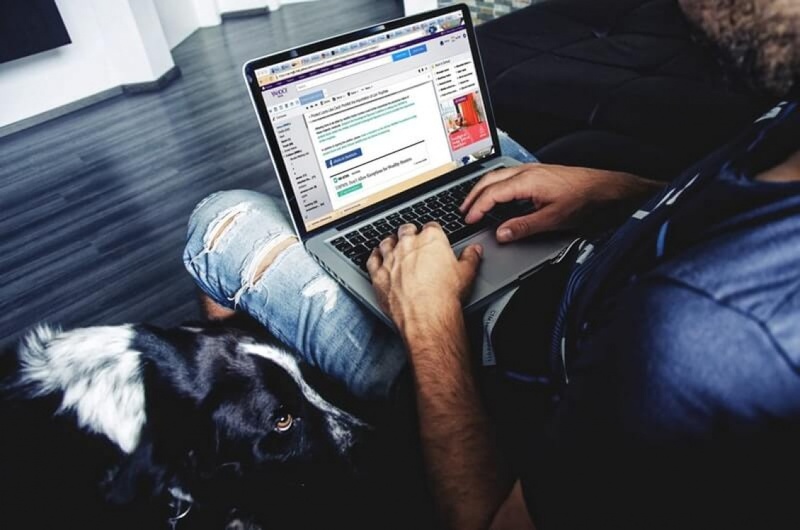 When it comes to email marketing campaigns, you’ve got to utilize the art of your storytelling to make the most of all of your marketing efforts. Utilizing these tips, you can help make the most of all email marketing campaign efforts. Nora Mork is a business and marketing journalist at Boom Essays and UK Writings. She helps businesses create better marketing strategies, and contributes post to blogs and magazines, such as Essayroo.